Bryan once thought his in-ring career with WWE was over. After suffering several concussions and seizures throughout his career, he was medically suspended from ever competing for WWE again. WWE retained Bryan on television by making him General Manager of SmackDown Live. Despite this, Bryan never gave up on his hopes of one day returning to the ring. That all finally paid off earlier this year. Bryan was reinstated as an active WWE competitor just in time for WrestleMania 34. He passed several tests from WWE-recommended specialists that allowed him to be cleared. He teamed up with Shane McMahon to defeat Kevin Owens and Sami Zayn at WrestleMania 34. 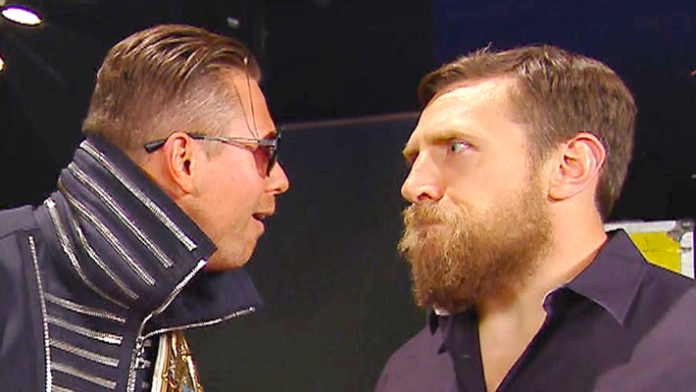 Now that Bryan is back in the WWE fold, it allows him to seek vengeance upon The Miz. While being sidelined, Miz continuously tortured Bryan about his inability to wrestle anymore. When it was announced Bryan had been cleared to return to WWE action, fans knew a match with The Miz was inevitable. WWE seems to be heading in that direction right about now. Bryan has continuously challenged Miz to a match at SummerSlam later this month.